Mediastream Platform Corporate is the best internal communication channel for the administration and transmission of your company videos. Transmit the values of your company to new employees through videos programmed with Platform Corporate. Ensure the reception of your messages to all employees and interact with them in real time. Unify your content by linking the Smart TV of your company in order to have the same sequence of videos. It incorporates multiple audio languages for events that have multiple translation. We have different security mechanisms that guarantee the videos reach the desired recipients correctly, without leaving the content of the company at risk. Increase the level of interaction of the work teams communicating business strategies in a simple and direct way, also with news and market trends. With Platform you will improve the feedback and interaction of your employees with the company. With Platform you can enhance your internal and external communications through videos in multiple qualities for every device. Get the best user experience, distribute content in a simple and fast way to all your coworkers and customers. Platform offers personalized and excellent support to each of its clients at any time. 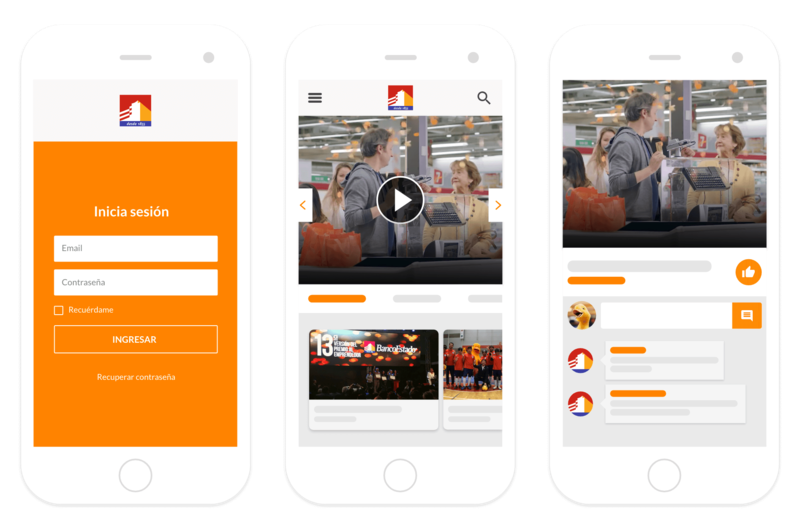 Banco Estado (Chile) was looking for a solution for their internal communications to increase its reach rate. 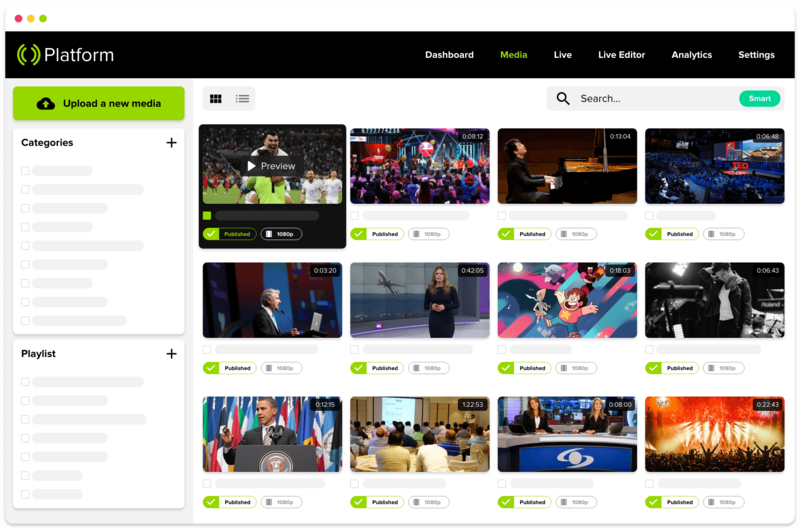 Corporate Platform was implemented for the distribution of video content. More than 600 videos shared with all your collaborators. 80% of employees see at least one video per month. Guaranteed accessibility to content on all devices with mobile App. Presidency Press (Chile) needed a provider that offered a self-managing solution, with security, for the distribution of official Government content. API integration of the web page with Platform. More than 1.000 videos on demand per year and dozens of live broadcasts. Live signal in more than 10 countries. Platzi, e-Learning platform, sought to reliably and securely transmit live courses to its students. Corporate Platform was implemented for the VOD distribution (Video on Demand) of the classes already dictated, we offered digital storage space and organization of generated content. More than 500.000 registered students. Transmission of Events and Live Conferences to more than 50.000 thousand students. Icare had the need to increase its reach and audience to be able to cover and retain new segments of the target audience. With Corporate Platform they managed to ensure online transmission quality and technical support. Transmission and storage of all conferences on a Web Channel. Distribution of contents to Regions. Digital audience more than 100 times higher than a face-to-face audience.